The Pacific Rim, encompassing all of the countries and regions bordering the Pacific Ocean, is known for its booming economy that has made it a rising star on the international business stage. So with world attention turning to the East, it's hardly a surprise that higher education is following suit. Here’s a closer look at the trend, along with one innovative dual degree program offering aspiring leaders a deeper understanding of the Asia-Pacific region in 21st-century global society. Globalization refers to the increasing interactions between and integration of the world’s people, companies and countries. While the concept may be a simple one, the reality is much more complex, requiring unprecedented understanding and cooperation between nations. When it comes to shaping the global zeitgeist, the higher education sector often leads the way. This is absolutely the case when it comes to globalization. Two Pacific Rim universities at the forefront of change? 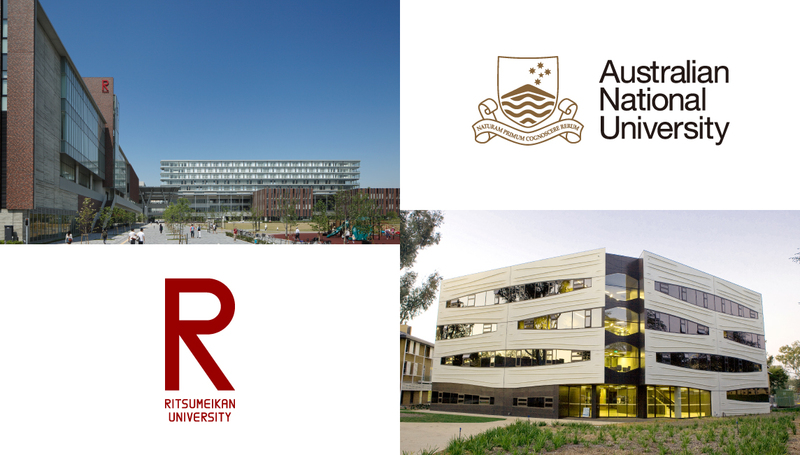 Japan’s Ritsumeikan University (RU) and the Australian National University (ANU). The two institutions’ partnership through the ANU-RU Dual Degree Program is a perfect fit for students looking to attain an international and pluralistic education with first-hand experience in these two critical regions. Participants in the course begin their time in one of the two institutions, where they study liberal arts and Asia-Pacific affairs “with a focus on becoming a proactive member of the global society in the twenty-first century.” Students from RU study for their third year at ANU, while ANU students will study at RU's Osaka Ibaraki Campus during their second and third years, both sets of students acquiring much real-world experience and taking courses led by the faculties of both schools during the four years. Upon completion of the Dual Degree Program, graduates simultaneously earn a bachelor’s degree of Global Liberal Arts from RU and a bachelor’s degree of Asia-Pacific Affairs from ANU. Why Study in Australia and Japan? Both Japan and Australia are home to large student communities: 2.9 million and 1.3 million, respectively. There’s a reason -- well, many reasons -- why so many students flock to these dynamic destinations. We’ve already covered their prime geographic locations for students with an interest in the Pacific Rim and globalization. But there are other benefits, too. For starters, both countries boast extraordinary blends of unique cultures, sights, and things to see and do. Students can visit both Osaka and Kyoto, as the Osaka Ibaraki Campus, where RU's College of Global Liberal Arts is located, is midway between these two great Japanese cities, on a main train line. Osaka is a thriving city, Japan's third largest, full of the best of Japanese culture, both old and new. Alongside the spectacular Osaka Castle and the great historical heritage of the Japanese civilisation, students will experience the neon buzz of the futuristic urbanness; and of course sample Japan's myriad culinary delicacies. In Kyoto, students can, among other things, sample Japan's history and traditions, by visiting Buddhist temples or taking a stroll in the historic Higashiyama District. Meanwhile, in Australia’s capital and political center Canberra, home to ANU, you will find everything, including Australia's Parliament, art galleries and free museums, delicious food, wildlife and nature, skiing and a great social scene -- meaning students come there from all around. And, like Japan, it has four distinct seasons, with summer sun and winter snow. Also, people can easily take weekend trips to Sydney and Melbourne. So for students looking to position themselves to lead the way as this region shapes the world, while gaining priceless access to two very different environments, there is no better option than the ANU-RU Dual Degree Program. The three-phase application period for September 2019 begins on 12 October 2018 and ends 7 March 2019. To take a giant step toward your bright future, learn more about how to apply here.